I'm not sure how your blog has fallen off my radar (not a perfect word for what I mean), but I'm adding you to my sidebar so I can better keep up. I don't comment a lot but I do enjoy updates. Have a blessed day, Dawn. I had to look closely for Camden in the Lego men. I LOVE this picture grid. So brilliant. I might have to copy this….if I can learn how??? I love that mug too….did you get it at Anthropoligie? I found Camden. Kinda like I found waldo. 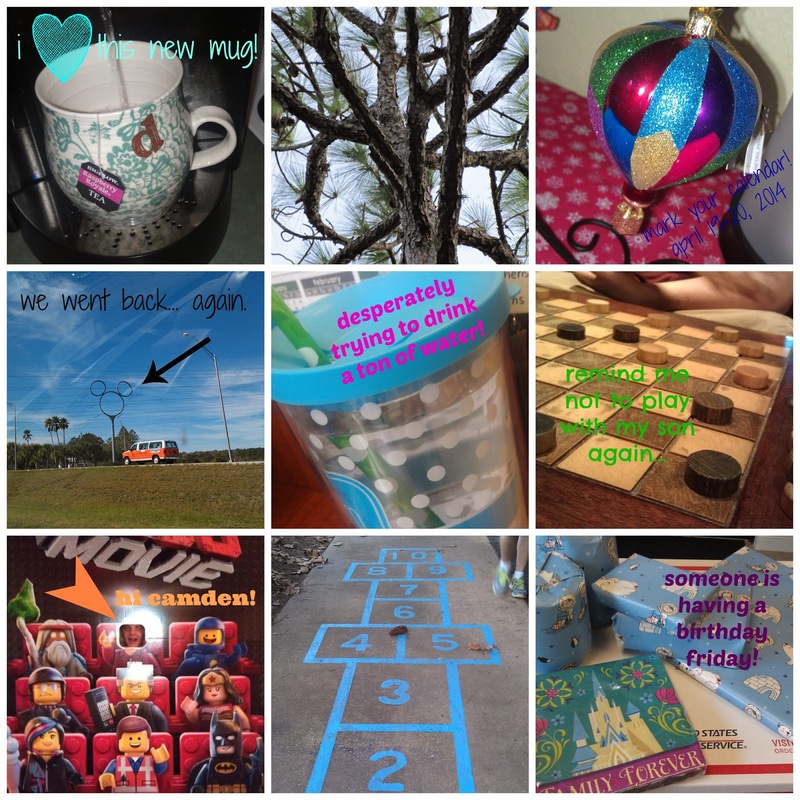 Fun pictures and cute mug. I have a similar one I got on clearance a year or so ago from Anthropologie and it is the best to keep my hands warm while I sip my tea.